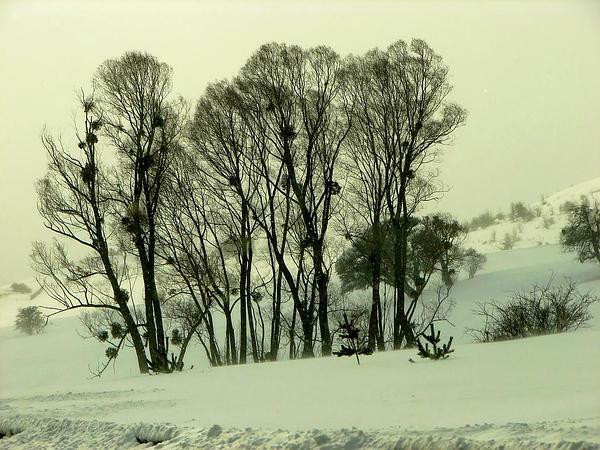 Credit: Copyright by E.J. 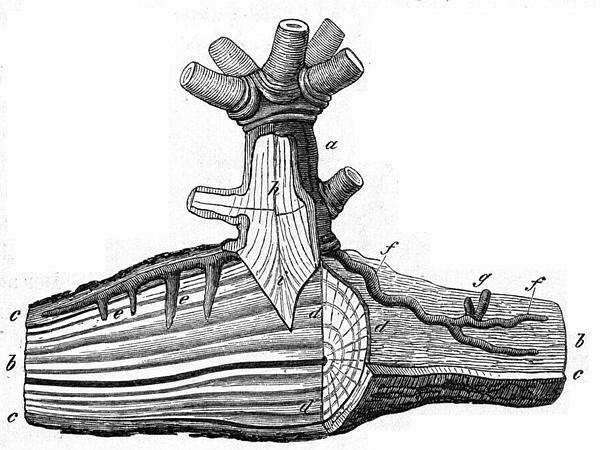 McCullag[...] | This image is available from the United States Library of Congress's Prints and Photographs Division under the digital ID cph.3b44250This tag does not indicate the copyright status of the attached work. 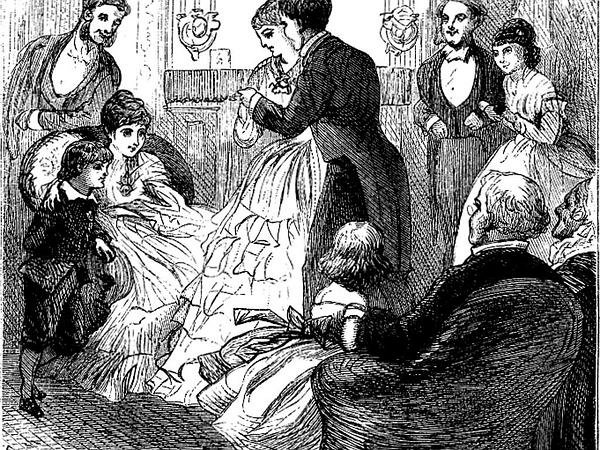 A normal copyright tag is still required. 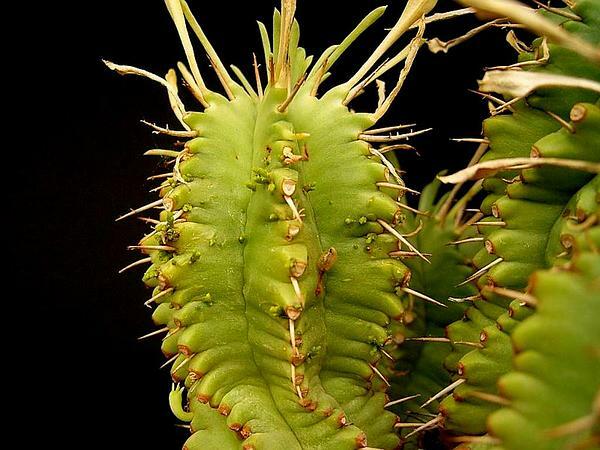 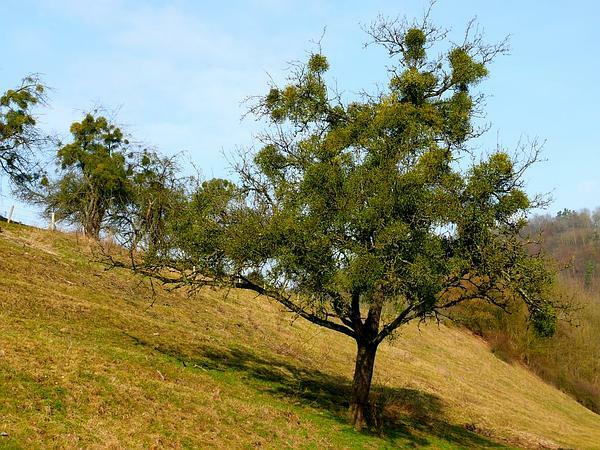 See Commons:Licensing for more information. 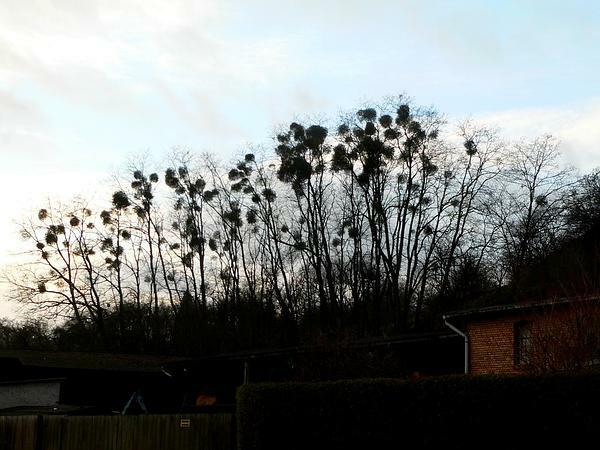 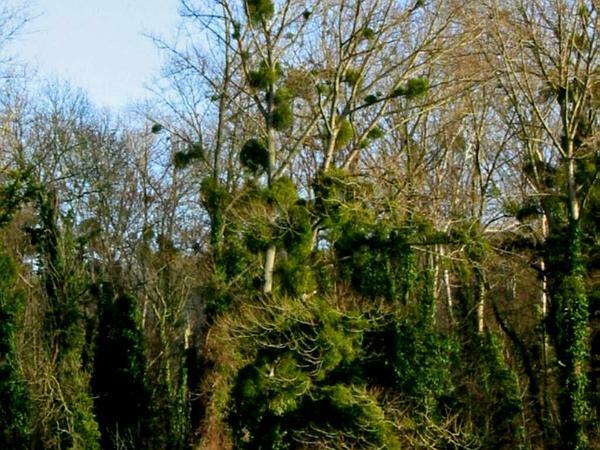 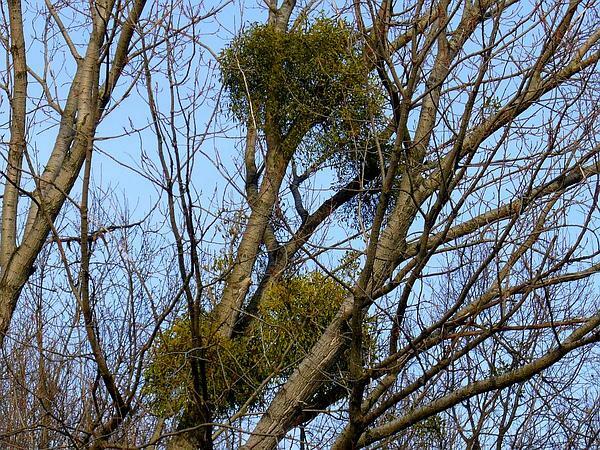 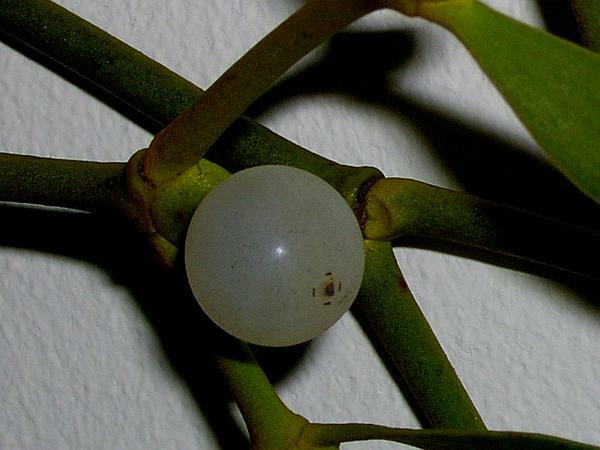 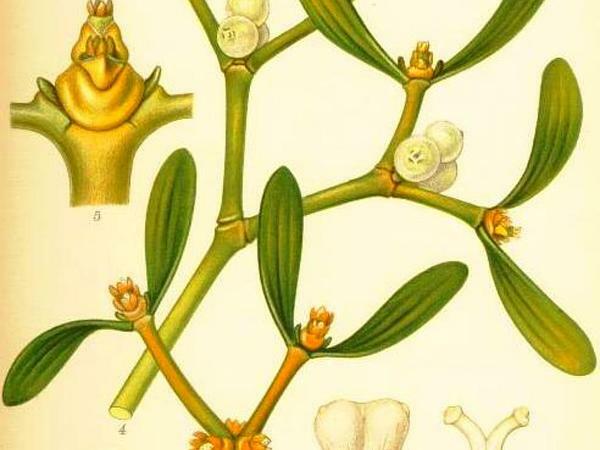 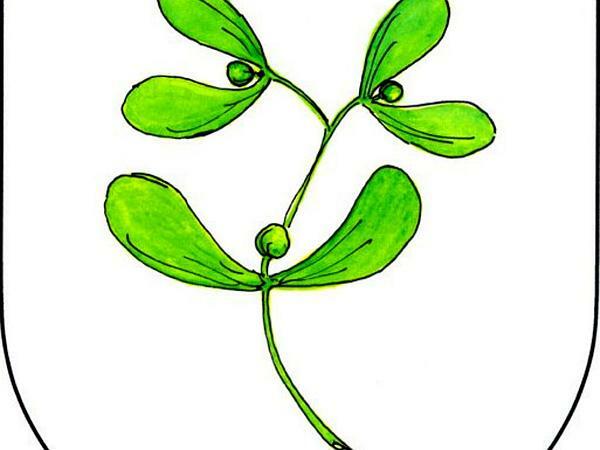 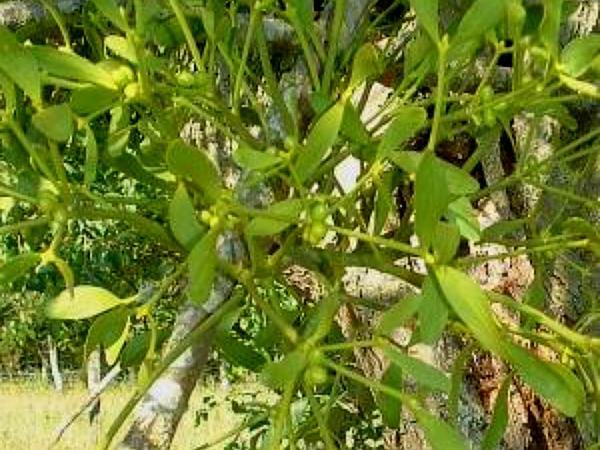 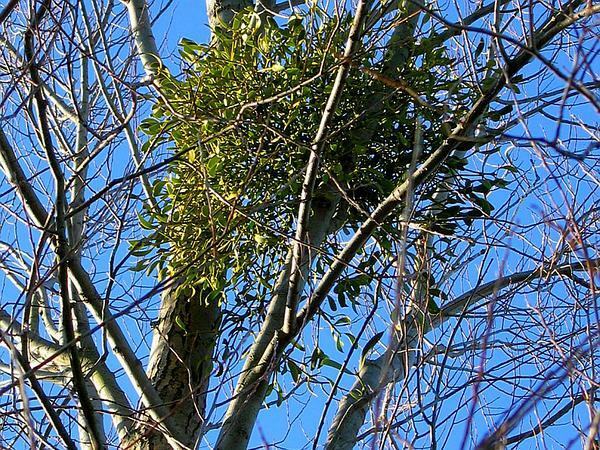 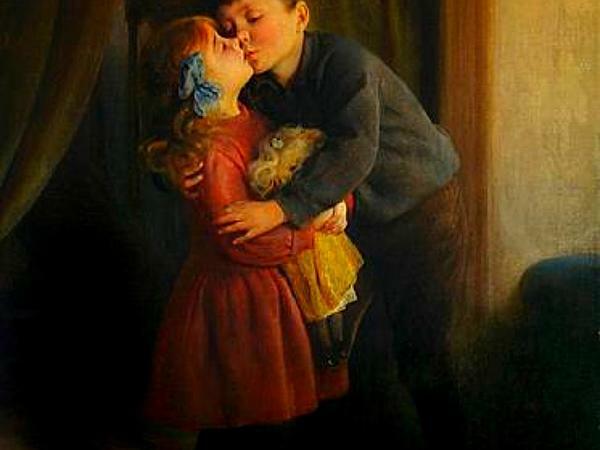 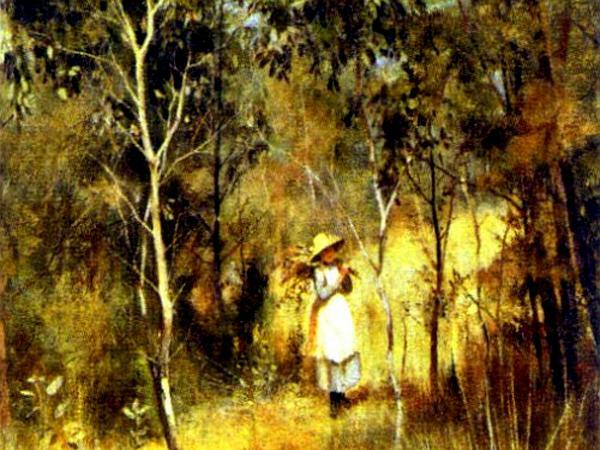 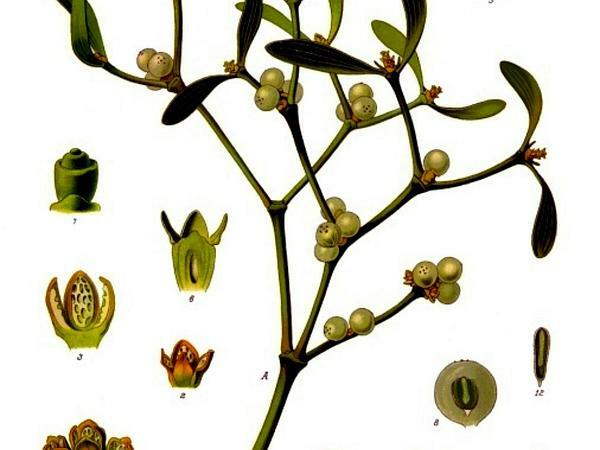 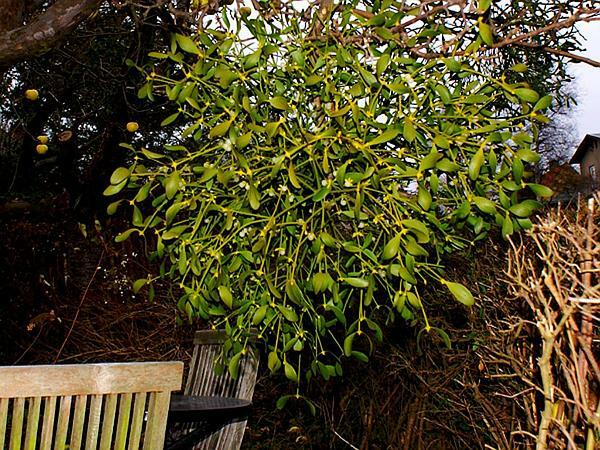 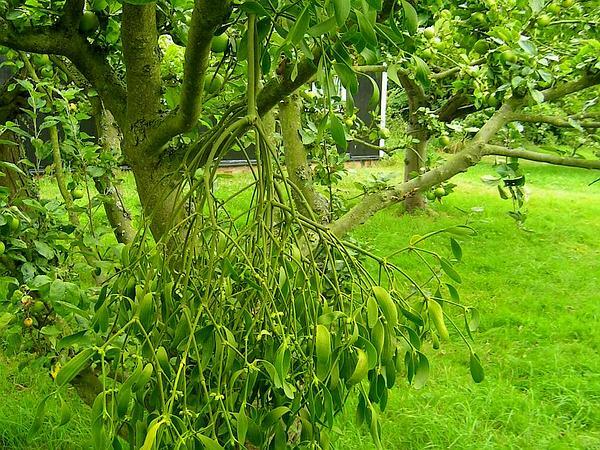 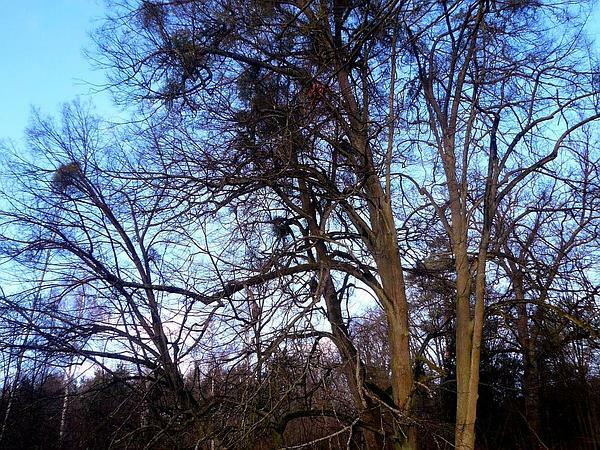 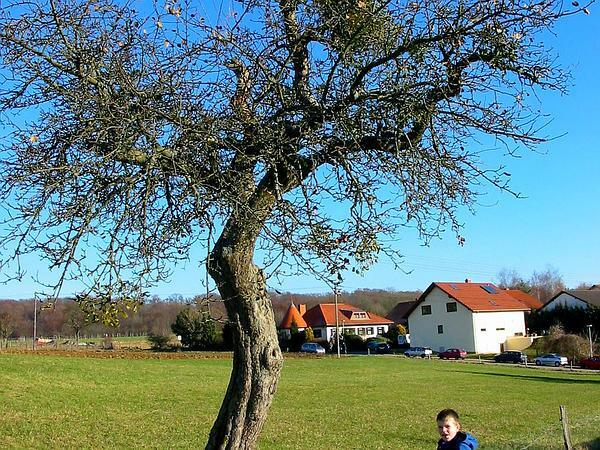 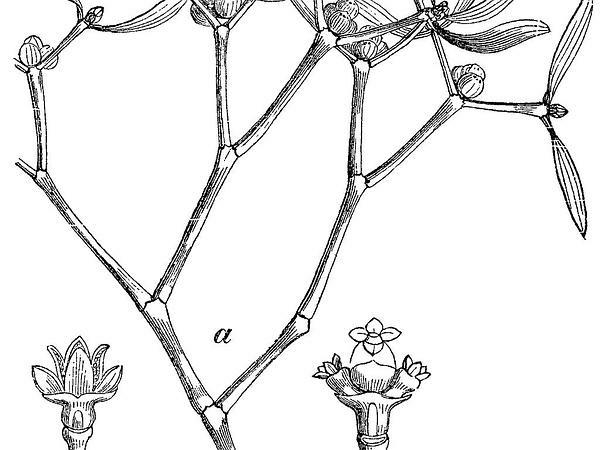 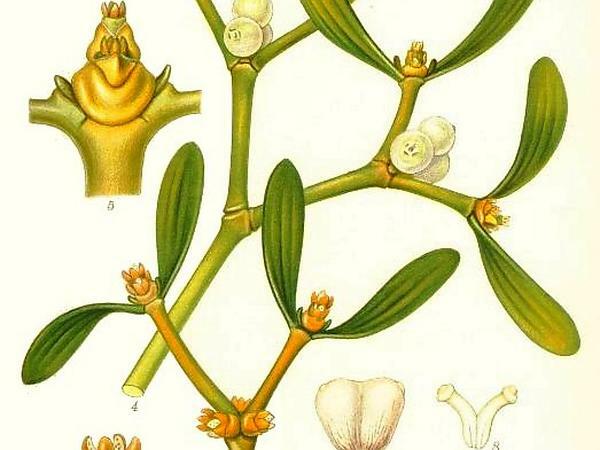 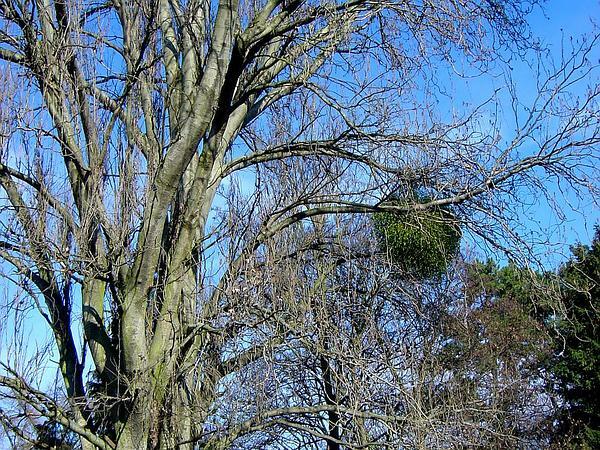 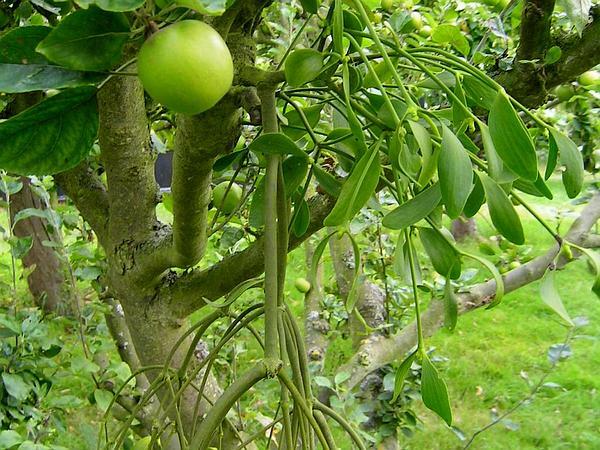 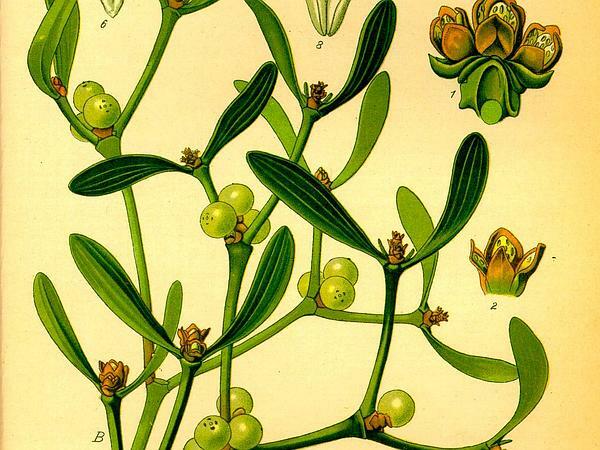 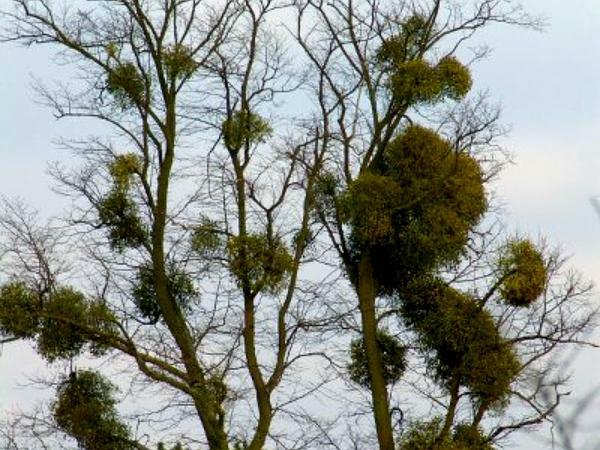 Viscum, or more commonly know as Mistletoe, is of the genus Viscum. 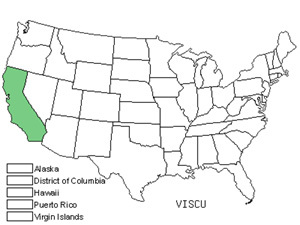 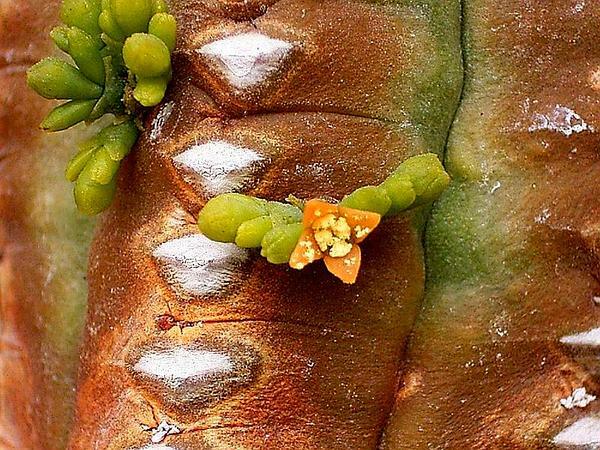 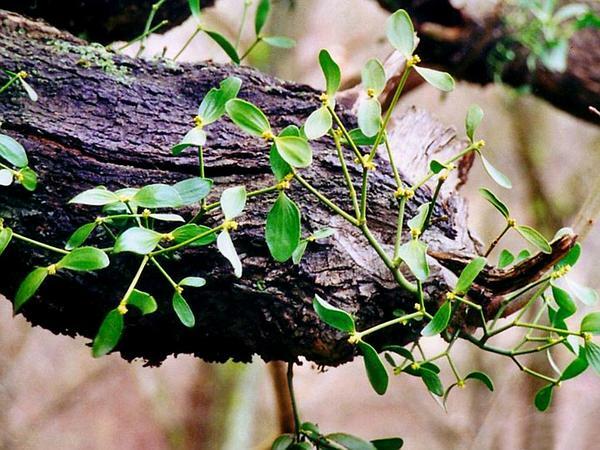 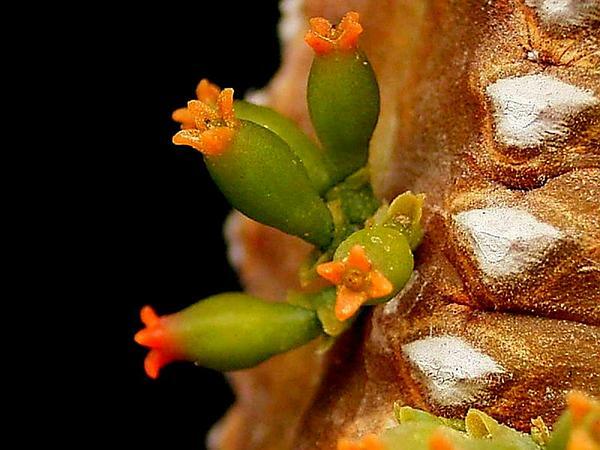 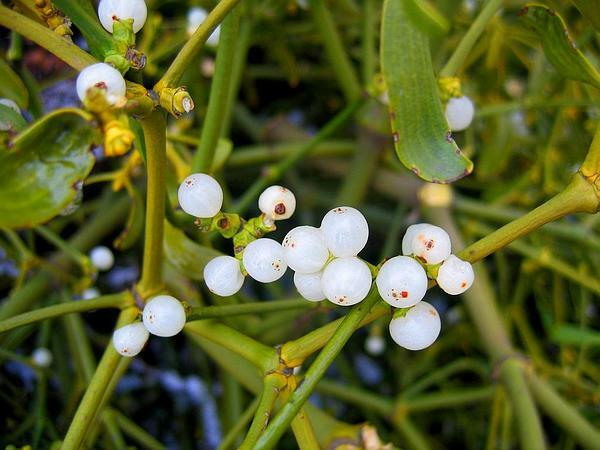 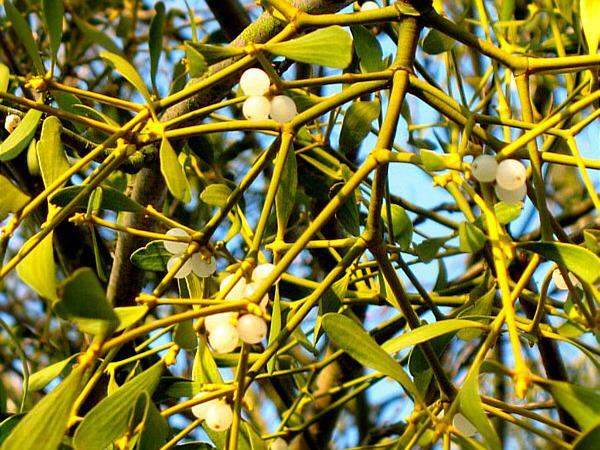 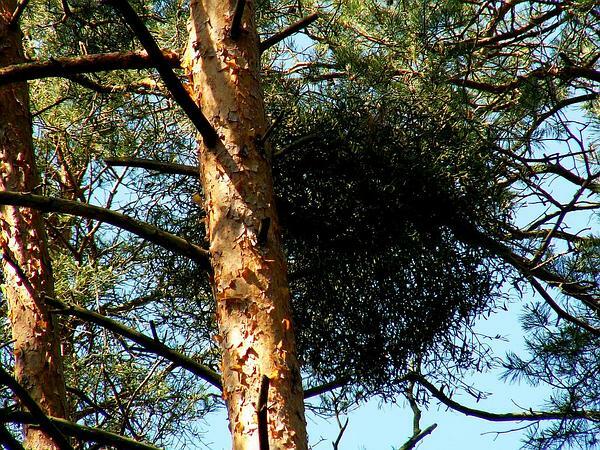 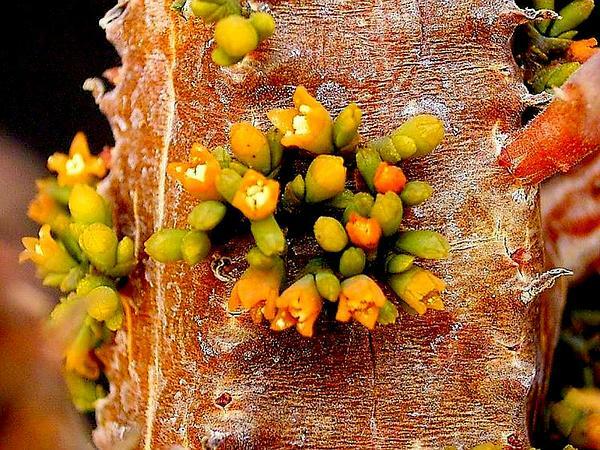 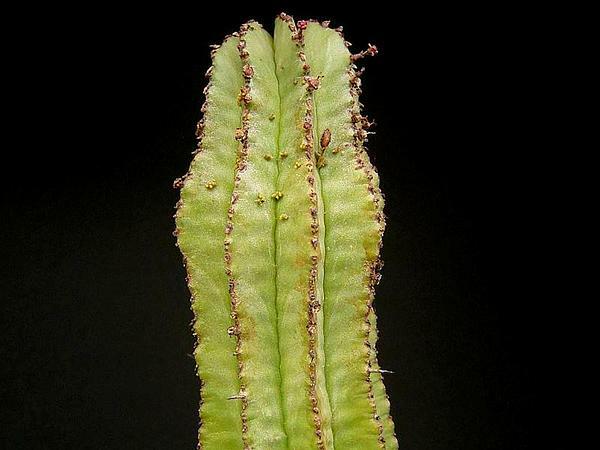 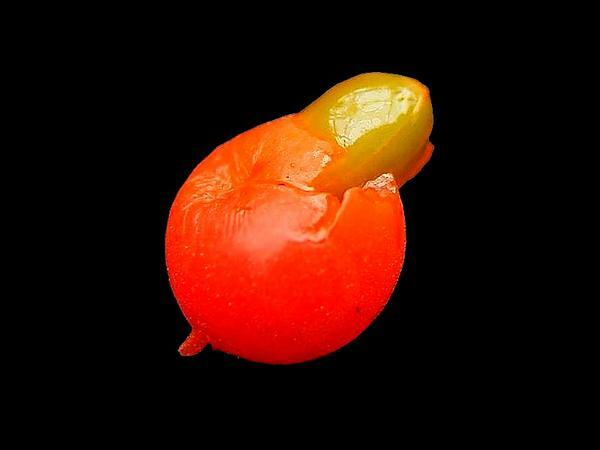 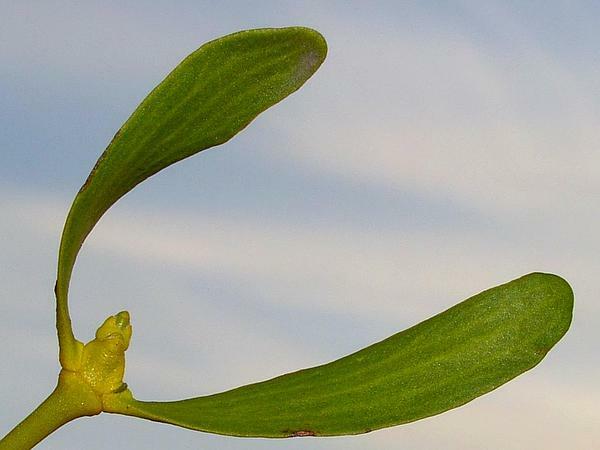 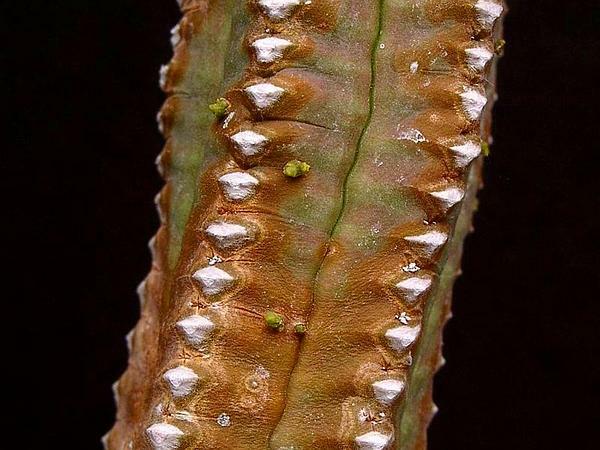 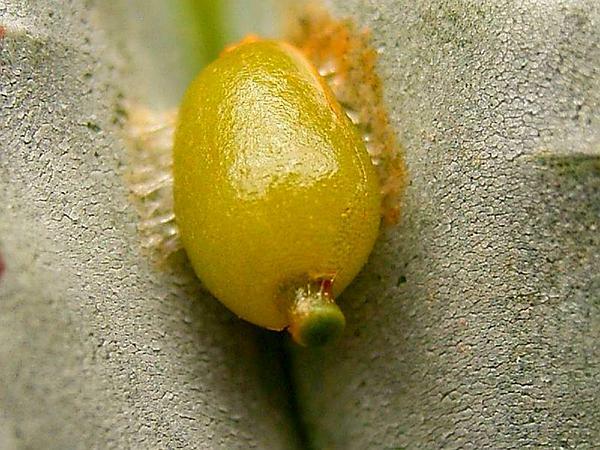 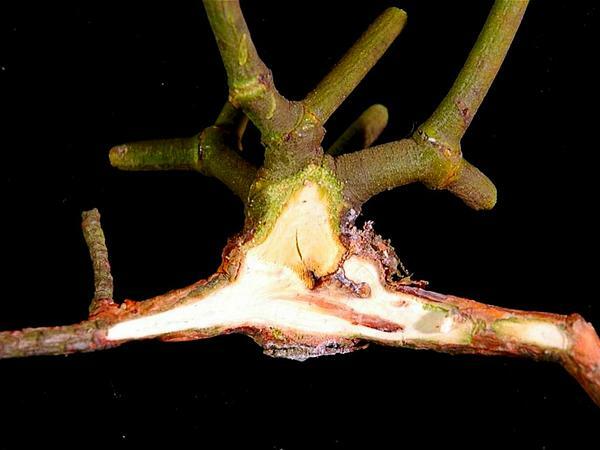 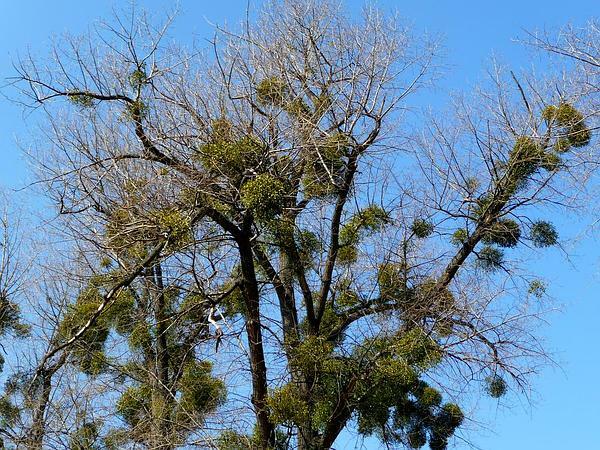 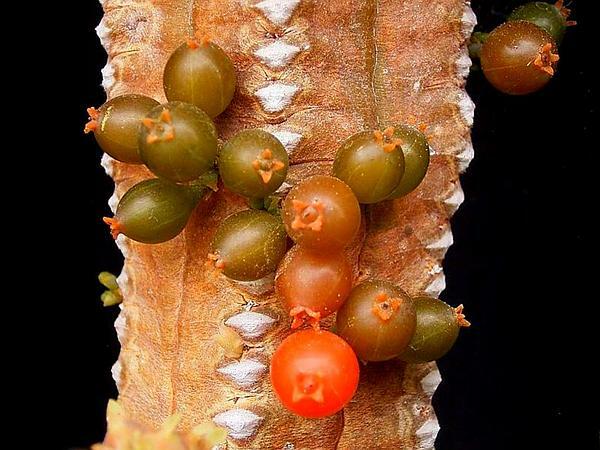 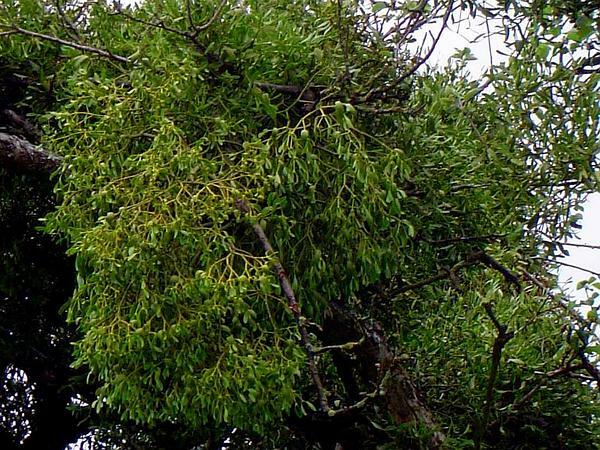 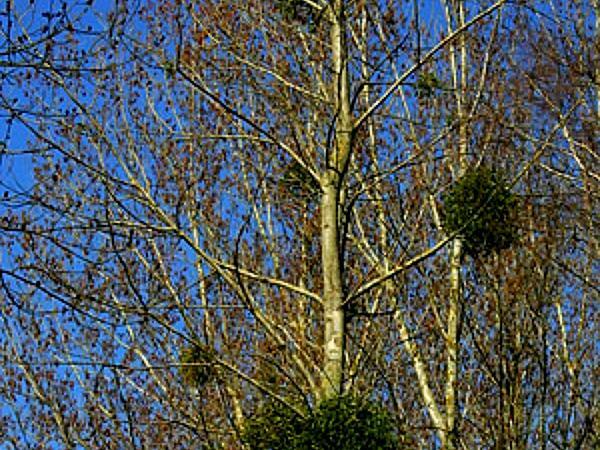 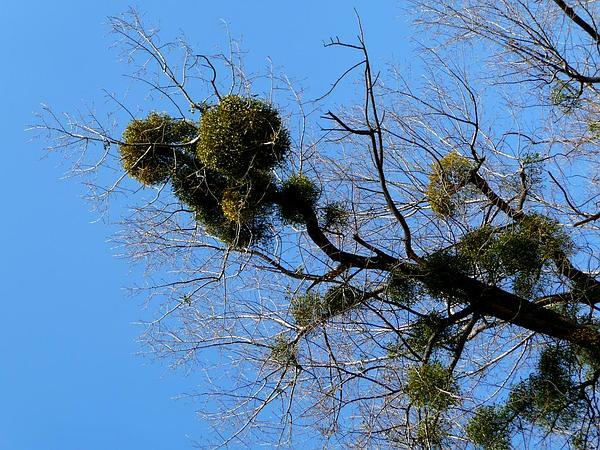 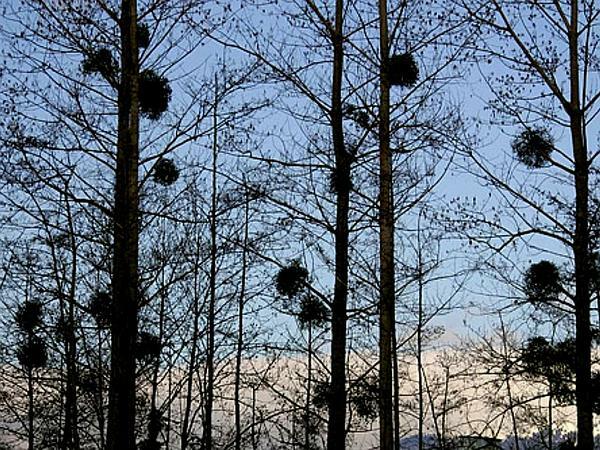 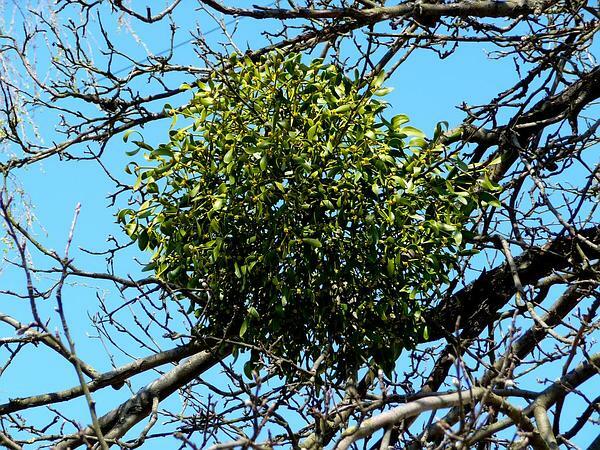 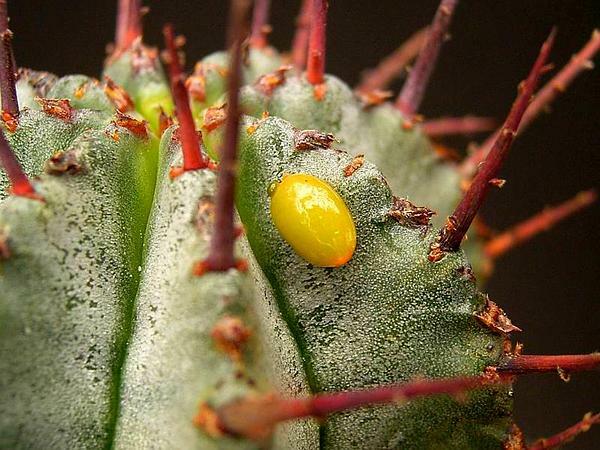 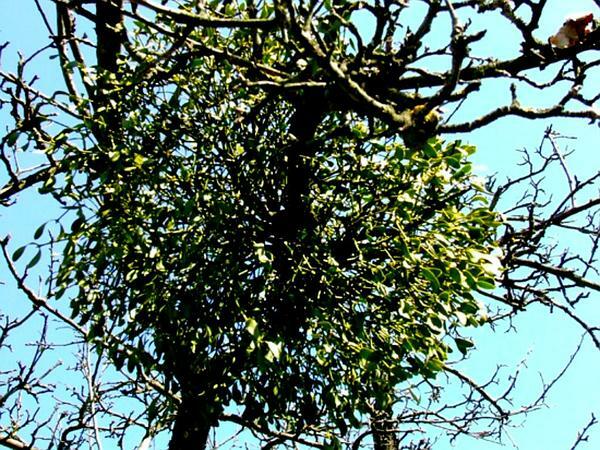 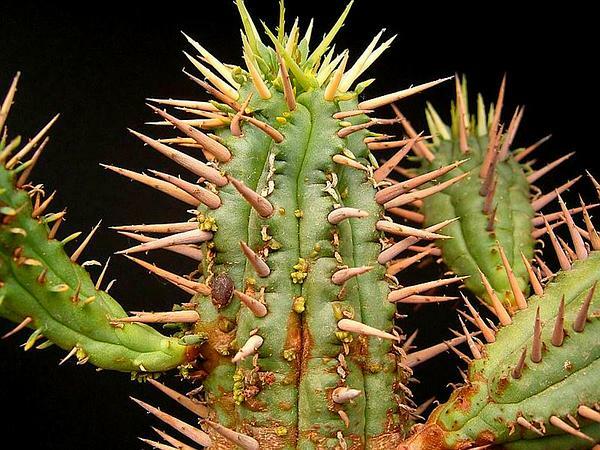 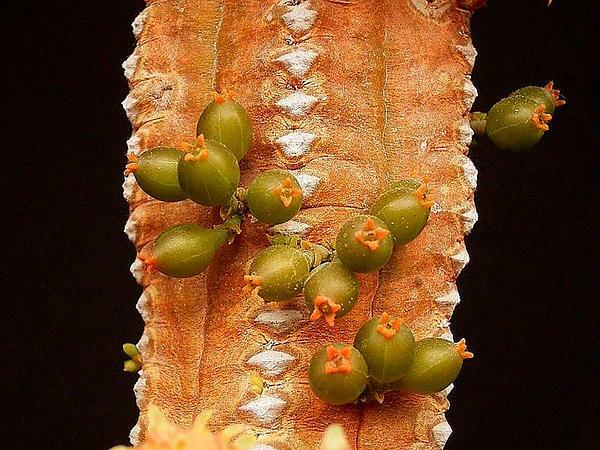 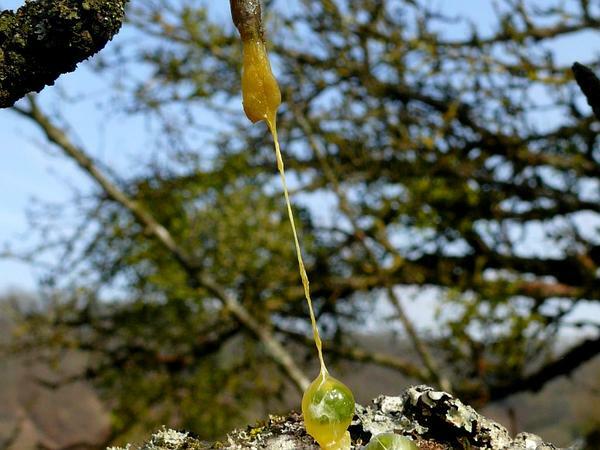 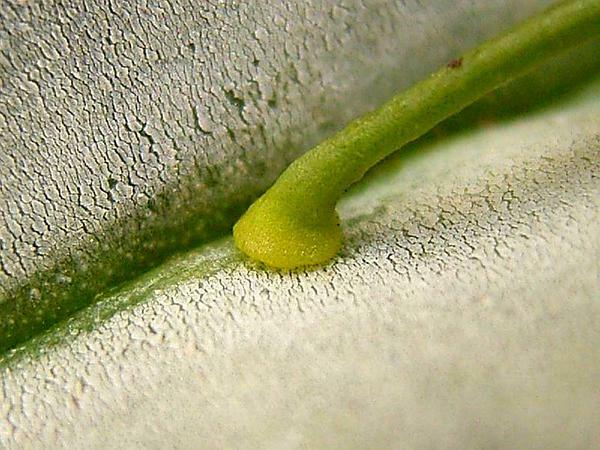 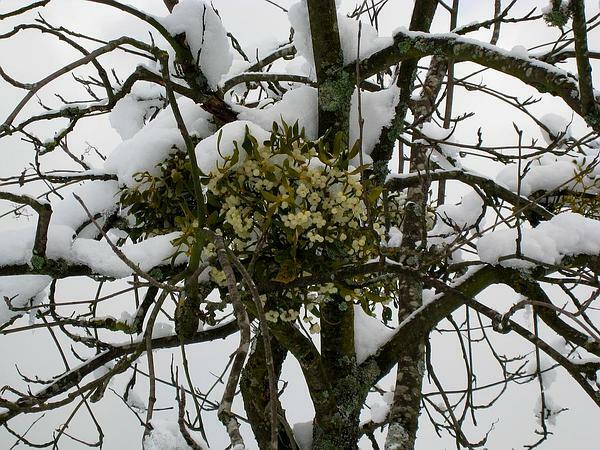 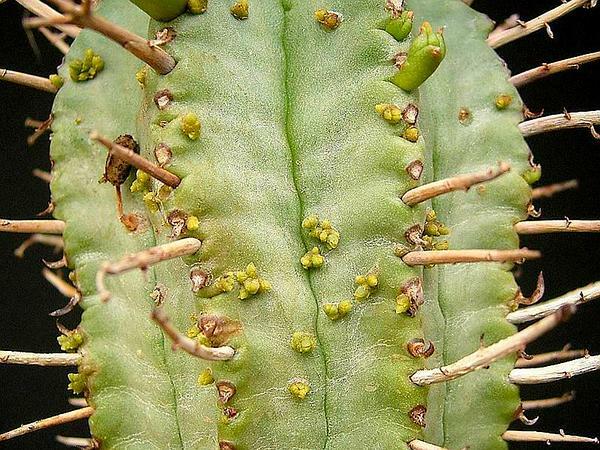 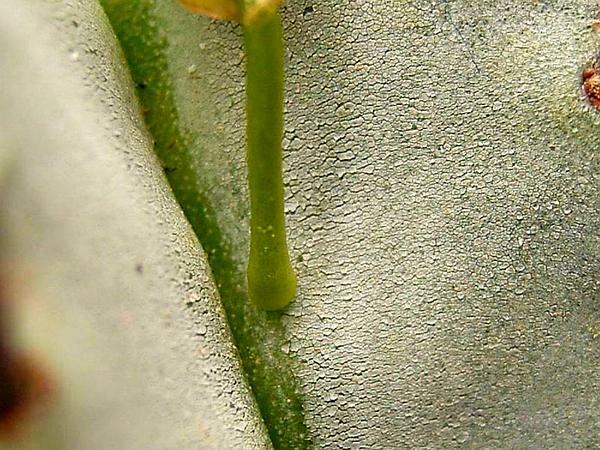 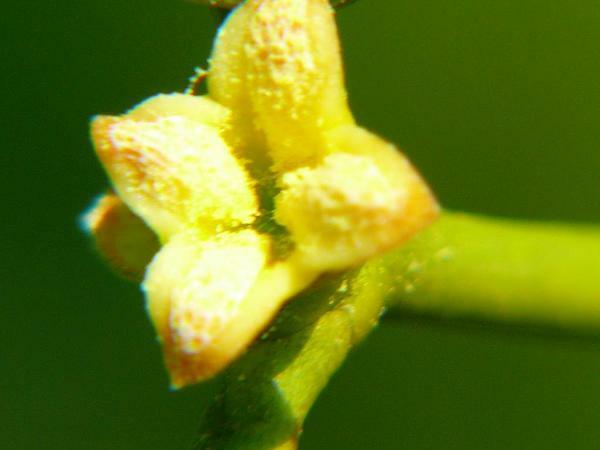 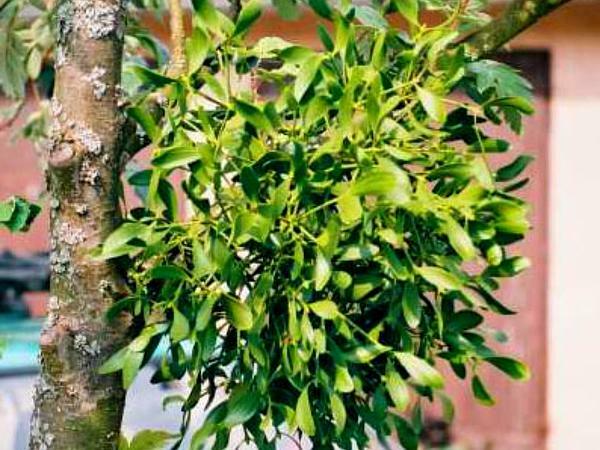 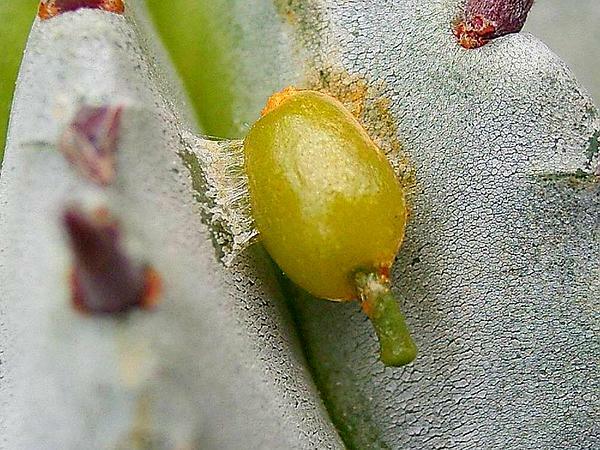 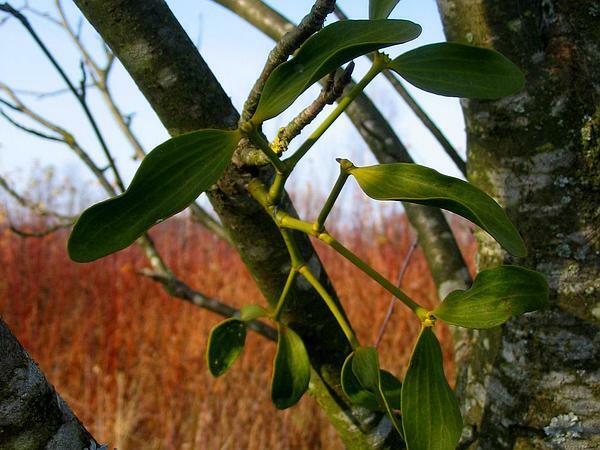 Viscum or Mistletoe's floral region is North America US Lower 48, specifically in the state of California.